Passengers are being evacuated from the vessel, which suffered engine trouble in wild weather while off the Norwegian coast. The ship was carrying 915 passengers, of which "a large number" were from the United States and Britain, the rescue service said, although it declined to be more specific. Eight individuals were reported to have sustained minor injuries from the cruise ship, while a 90-year-old man and his spouse had been severely injured, the AP reported. The evacuation will require time, as passengers needed to be hoisted individually from the cruise ship to one of the five available helicopters, Norwegian public broadcaster NRK reported. The ship is in rough seas in the Hustadvika area on the western coast of Norway. The evacuation of the cruise ship would be delayed, officials said, and those still on board are considered safe. It is now unknown how many people have been removed from the cargo ship. However, reports suggest the ship has managed to restart one engine and move slightly further from the coast as the evacuation continues. Other passengers shared videos from the ship, one of which showed water gushing onto the deck, as the guest revealed that a door had been blown off after the ship was bashed by a "massive wave". "I was afraid. I've never experienced anything so scary", Jacob said according to the Associated Press. 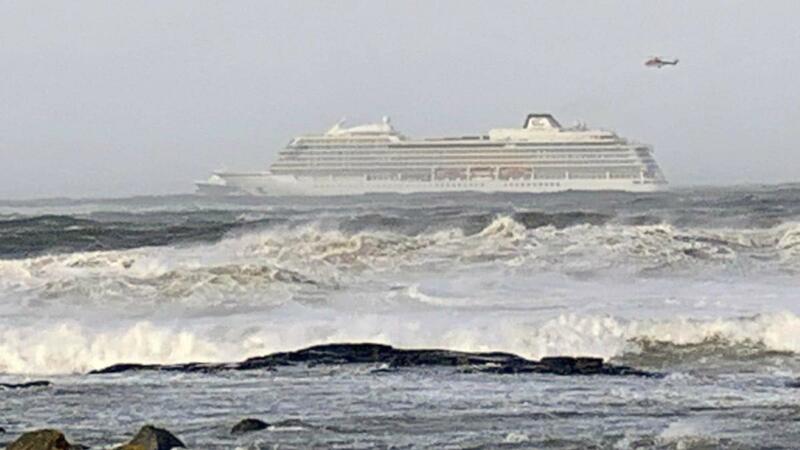 The luxury cruise ship with around 1,300 guests onboard at maximum capacity started drifting dangerously towards land on Norway's west coast. The trip on the helicopter, I would rather forget. "It's a demanding exercise, because [the passengers] have to hang in the air under a helicopter and there's a very, very strong wind", witness Odd Roar Lange told NRK at the site. A spokeswoman for the Foreign Office said: "We are in touch with Norwegian authorities and stand ready to help any British people who require our assistance". 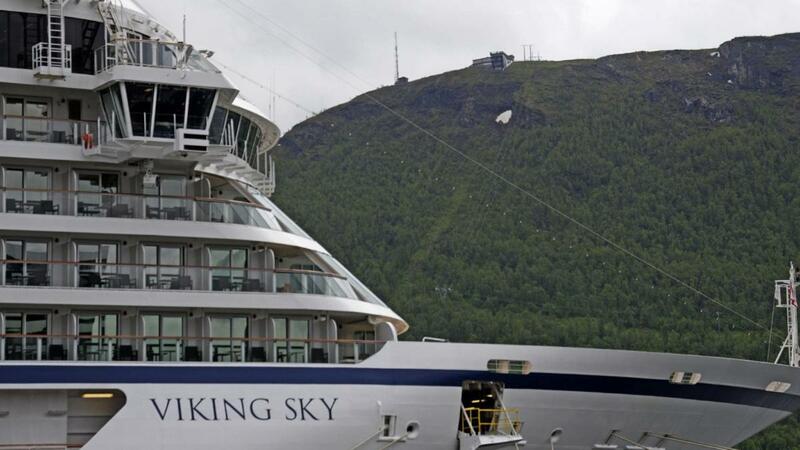 MV Viking Sky is a Viking Ocean Cruises ship, which had its maiden voyage in 2017. Around 1,300 passengers and crew were originally on the ship, according to Reuters. The ship was visiting the Norwegian towns and cities of Narvik, Alta, Tromso, Bodo and Stavanger before its scheduled arrival in Tilbury in Essex on Tuesday.